Name Log Cabin came from the image of building a log cabin in the prairies. Log Cabin center piece is traditionally a red square which was believed to stand for the hearth, warmth of the house. 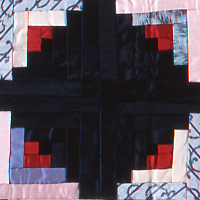 This design has a black color center piece representing sorrow in the house meaning that the fire was out in the house because the husband died. 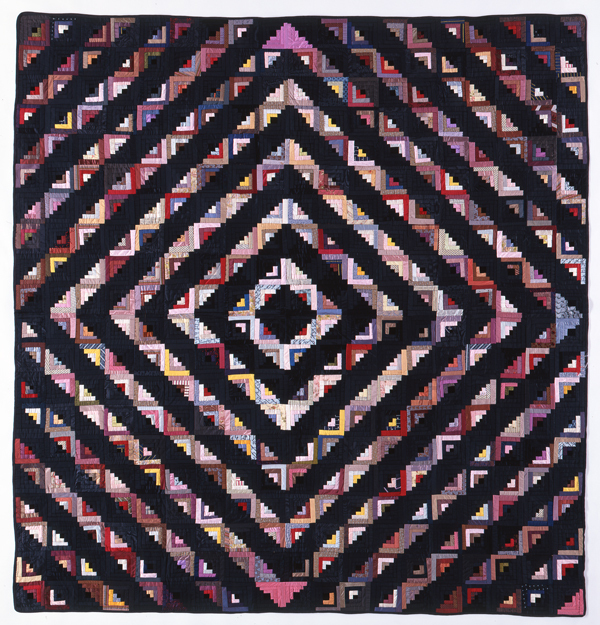 This is an unusual vintage piece having an actual heartfelt tale that widow entrusted quiltbees to make a quilt with her husband's belongings. 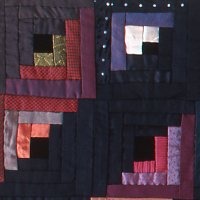 The tenderhearted quilt stitched with memories in good days reflects quilter's sincerity.